Medical devices company Becton Dickinson & Co. (NYSE:BDX) has announced its intentions to purchase C.R. Bard Inc. (NYSE:BCR) for $24 billion. To fund the deal, Becton will use $1.7 billion of its cash, take on $10 billion of new debt and issue $4.5 billion of equity and equity-linked securities. The deal would be Becton’s largest deal ever. It is twice as large as the company’s $12 billion acquisition of CareFusion Corp. in March 2015. Becton will pay $317 a share for Bard in cash and stock, the companies said in a statement. The price represents a 25 premium over Bard’s share price at Friday’s close of trading, before the deal was announced. Bard shareholders will receive $222.93 in cash and 0.5077 shares of Becton Dickinson for each of their shares. Altogether, Bard shareholders will own about 15 percent of the combined company. This will be the 12th acquisition since Chief Executive Officer Vincent Forlenza took the helm of the company more than five years ago. Forlenza said he appreciates Bard’s international growth potential. Together, the companies will have about $1 billion annual revenue in China alone. Becton expects $300 million in cost cutting by 2020 from the purchase. Becton and Bard said they expected the deal to close in the fall of 2017. 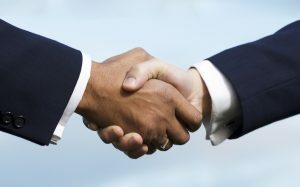 According to the release, the boards of both firms have unanimously agreed to the deal. The proposed deal still needs antitrust approvals in the United States and other jurisdictions. Becton Dickinson was advised by Perella Weinberg Partners LP and Citigroup Inc., while C.R. Bard worked with Goldman Sachs Group Inc. This is just the latest in a string of deals in the medical technology sector. Makers of medical devices and supplies have announced or completed $373 billion of mergers and acquisitions since the end of 2012. Medtronic Plc’s $42.9 billion acquisition of Covidien Plc, announced in 2014, was the largest. In 2015, Zimmer Holdings Inc. merged with Biomet Inc. in a $13.4 billion deal, creating Zimmer Biomet Holdings Inc. Abbott Laboratories completed its $30 billion acquisition of St. Jude Medical Inc. last January.